Pelvic Floor Dysfunction (PFD) is an umbrella term used to encompass several different bowel, bladder, and sexual disorders, and chronic pelvic pain syndromes, that affect or are caused by the pelvic floor muscles inability to contract, relax, and/or bulge effectively. These conditions may or may not have pain associated with them. Pelvic Floor Dysfunction can be caused by direct trauma (such as falling off of a bike or horse), cumulative trauma (such as prolonged sitting), vaginal or caesarean section delivery, or even sexual abuse. Urogynecological surgeries, emotional or physical abuse, improper body mechanics, or any stressor that triggers the pelvic floor muscles to respond can also create pelvic floor dysfunction. Stress, bacteria, and/or inflammation can cause the pelvic floor muscles to elicit a protective response in which the muscles tighten to protect against the stressor. Unfortunately, sometimes the pelvic floor muscles stay in a protective or hypertonic state and this can produce pain. Therefore, it’s possible to initially be diagnosed with a bacterial infection and end up with Pelvic Floor Dysfunction. These S&S may be present due to Underactive or Overactive pelvic floor muscles or a Combination of both. Overactive Pelvic Floor muscles are considered hypertonic, spastic, and short. They have impaired relaxation and coordination, and are usually preceded or exacerbated by a stressor or direct or accumulative trauma. Typically there is a pain association with this population and the general rule is if pain is present do not perform Kegel exercises. 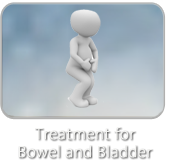 It is important to consult with your physical therapist for treatment which may include manual therapy, biofeedback, bowel and/or bladder retraining, and diet and lifestyle modifications to reduce overactivity and tone of pelvic floor muscles. This population may be advised to not perform Kegel exercises. Underactive Pelvic Floor muscles are considered hypotonic, weak, and lengthened. They do not voluntarily contract when appropriate. This can occur most often after pregnancy and/or child birth (vaginal or cesarean), prolonged stretch, straining, and age. Typically there is not a pain association with this population, however, that is not always the case. Generally speaking, this population will benefit from pelvic floor muscle exercises, otherwise known as Kegels. It is important to consult with your physical therapist for treatment which may include therapeutic exercises, biofeedback, bowel and/or bladder retraining, electrical stimulation, and diet and lifestyle modifications to increase activity and tone of pelvic floor muscles. A combination of short and tight pelvic floor muscles mask underlying weakness and may or may not have a pain association. Typically the physical therapist will work on reducing the pelvic floor muscle tone before starting the patient on a strengthening exercise program including Kegels. A pelvic floor physical therapist will assess the tone of your pelvic floor muscles and determine the most effective treatment. Click here to learn more about how Pelvic Floor Dysfunction affects Men and Children as well. For an overview and understanding of the science behind Pelvic Floor Dysfunction, the following Research Articles have been provided.